The Cineperm offers a contemporary, theatre-like appearance wherever a permanently mounted front or rear screen is required. 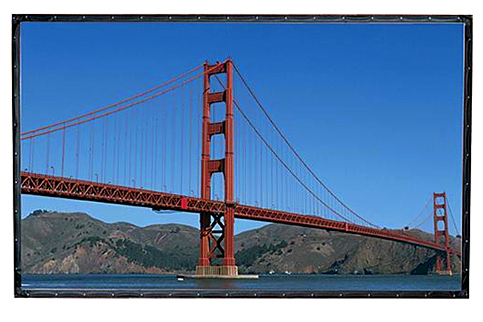 Flexible viewing surface is stretched perfectly flat and snaps onto a 1" tubular aluminum frame. The viewing surface conceals the frame completely with 2" black leatherette borders on all sides. Suitable for mounting to a wall, suspending from a ceiling, or flying for theatrical uses.